"I had this faint hope that I’d be getting a call… but it never came"
Interviewer: This may open an old wound for you, but… (laughs) You quit Sega right after you made Sonic, correct? Interviewer: And I heard that you actually approached Nintendo after you quit…? That's disappointing because Yuju Naka is a very talented video game programmer, Naka did great work on the Sega Genesis and Sega Saturn. Awww, sounds like he's a bit of a shy guy! Oh wow, that's kinda sad. He should have just been more assertive. And kicked that Security Guards A**. I mean that's how Reggie got his job. Nintendo could really use someone with his talent these days. Umm.. he should've called Nintendo and given his resume. That's usually how it works. @Prizm He was an EX Sega Employee........IN THE 90'S!!! Not to mention the very creator of Nintendos Rival Mascot. The only position they would have available is having his head mounted on a stick in the parking lot. Everyone knows if you cannot defeat Nintendo's Security Guard in bare-fisted combat, you're not allowed to enter their headquarters for employment. That's weird. Yûji Naka continued in Sega until 2006. I don't know why they say he quit after Sonic. Mario could have ran a lot faster if this guy worked for Nintendo. Another Nintendo blunder. Second only to "Work with Philips instead of Sony"
@patbacknitro18 - Nah, he would've been a big score for Nintendo. An ex-competitor that knows the gaming business, knew the ins and outs of Sega which could give Nintendo an advantage, had cutting-edge programming knowledge, etc. He would've been a prime pickup. So an over enthusiastic security guard ruined a real life "what if" moment. Maybe he should've called Nintendo himself? @Prizm To be fair, Nintendo didn't really need an advantage over Sega. Sega kind of destroyed themselves without Nintendo needing to do much. @Moroboshi876 Because after Sonic 1 he was meant to leave SEGA but got called back to work on Sonic 2, I guess after not getting a call from Nintendo helped in his return back then. Should try giving them a call, would be awesome to see his talent in Nintendo games. I believe the reason why he left SEGA in the end, after having so much freedom in the Saturn era (he barely made Sonic Jam's Sonic World, all the main finished projects he done for the Saturn were non Sonic games, Nights, Burning rangers ) he was tied to Sonic games only, when you see Shigeru Miyamoto making alot of new ips then just working Super Mario. @JayJ Definitely! I mean, it’s not like they have released two of the most critically acclaimed games of all time in the last 12 months, or are currently in their most successful spell in the last decade. They could definitely use someone who peaked 20 years ago to steady the ship! Since imo often Yoshi's games have been disappointing after the masterpiece that was Yoshi's island SNes maybe Yuji Naka could have helped making better Yoshi's games. Or maybe he could have done a better job in making the typical Wii casual games more appealing for real gamers too (games like Wii music or Wii sports were not that interesting). I think he could have done something particularly good for Nintendo in one of those cases, maybe both. I'm happy it didn't happen,because then Rodea the sky soldier wouldn't exist.I wished for a sequel or port on Switch,but Naka left Prope to join Square-Enix. @LuckyLand He did make some casual Wii games with Prope, his company.One of them needed the game's cardboard box to be played,a Labo precursor. I know its says SEGA on the boxart,but they just published it. Now, if they could get Yu Suzuki. . . .
Couldn't you just use any flat surface? If it's any consolation, Naka Sama, I bought all the games you and Prope released for the Wii. 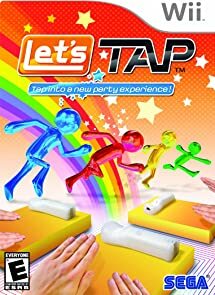 In my opinion, Nintendo should have bought you guys when you released Let's Tap, if not already when you pitched it. Perhapd the most brilliant thing I played on Wii. Nah, it required a surface that would reverberate even at light touch. It came with two suitable boxes itself, and really, anything like a board game box lid of cerepack could be used. This is why it pays to be assertive in life. Not advice I live by personally, but sitting around waiting for someone to call you doesn't get you far. @Yasaal You might want to look more into that. Sony had is issues as well. That security guard knew he was from Sega. He was probably all "You look like you're a bit lost, pal. You're on the wrong side of town..." and wearing a black leather jacket. At least, that's how I'm picturing the encounter in my head. 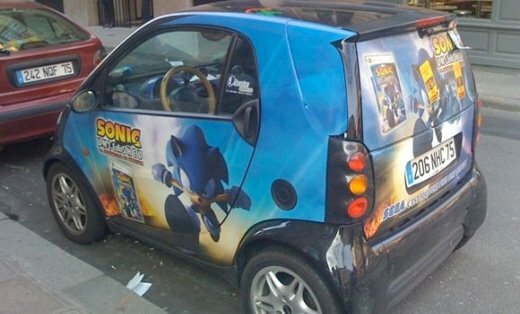 It remains unknown to this day how that security guard suspected the vehicle might contain a spy from Sega. @patbacknitro18 No, changing the allegiance of a top figure from the rival organization into their own would have granted them prestige. There's a very Shogunate mentality in Japanese corporate culture. He tried but didn't try hard enough. 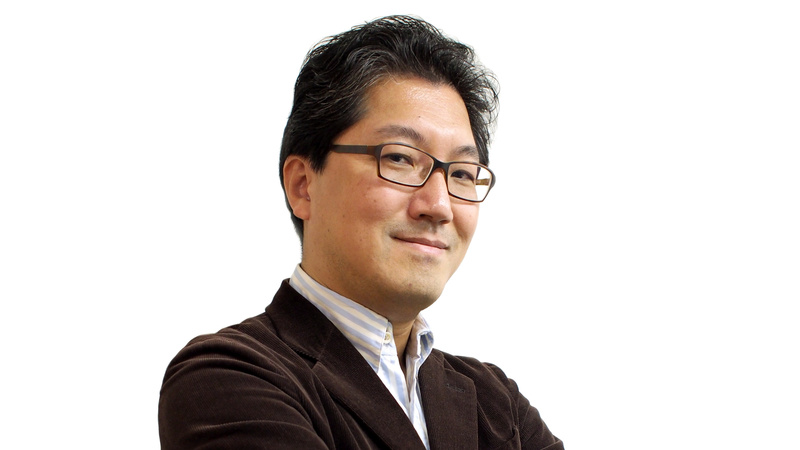 I have a feeling we might have had one more epic IP if this man was allowed to give his insight into some of Nintendo's creations. Thanks for making Sonic, Naka-san. I feel a bit sorry for Naka-san, seeing where Sonic is today compared to where it was during the Sega Genesis era. @Yasaal Sounds more like a Yuji Naka blunder to me. He should have put himself forward. You don't get anything in this world by sitting back hoping you'll get a call. Naka’s work on the Saturn with NiGHTS (the best game Sega have ever made) and Burning Rangers (an absolute classic which nearly nobody played) rivals Miyamoto and his work on the N64. A game designed by both of them would be something truly special. Maybe one day, especially as I have a feeling a retired Miyamoto will be a lot like a retired Hayao Miyazaki. @AlanJones84 You are giving Nintendo far too much credit and being far too defensive right now lol. They could always use more. He could've outrun the guard, but he hit a tiny hill and lost all his momentum. @westman98 He was around up until mid-way through 06's development when he bailed (which arguably had an impact on that game's development), so he's not entirely blameless. I guess I feel slightly less sorry then. He could have learned a lot with Nintendo. @JayJ I wouldn’t say defensive, I just thought your statement was naive. Naka has done nothing of real value since Billy Hatcher in 2003; to suggest he is some kind of genius is just extrapolating an extremely fertile and creative mid-80s to late 90s run over a barren latter period. 2018 Naka would not offer any value to a Nintendo currently doing perfectly well for itself. The interview also mentions that he found Sonic Underground to be damaging to the character's image, I totally agree and it's too bad it feels like it's happening all over again with Boom. Naka really needs to work with SEGA again and help Sonic to become great again! Sonic, Nights, Burning Rangers, Billy Hatcher. This guy would have been an asset. @AlienX Aww, its naff but I always liked Sonic Underground and its alternative universe characters. Boom has good scriptwriters, but I hate the redesigned characters. @samuelvictor don't forget Rodea! I honestly prefer it over Billy Hatcher. I've only caught one episode of Underground and seeing Sonic singing was enough to know it wasn't for me. And most of my hate for Boom is simply that I don't want to see that kind of humor coming from Sonic characters. Though they're barely Sonic characters. @AlienX Ah yes I forgot about Rodea, I own it butvhaven't played it too much, its in my backlog. Thanks for reminding me.